﻿ Tumbled Black Zebra Agate - buy Black Zebra Agate tumblestones online! Small tumbled Black Zebra Agate pieces; gorgeous pieces with a lovely contrast. 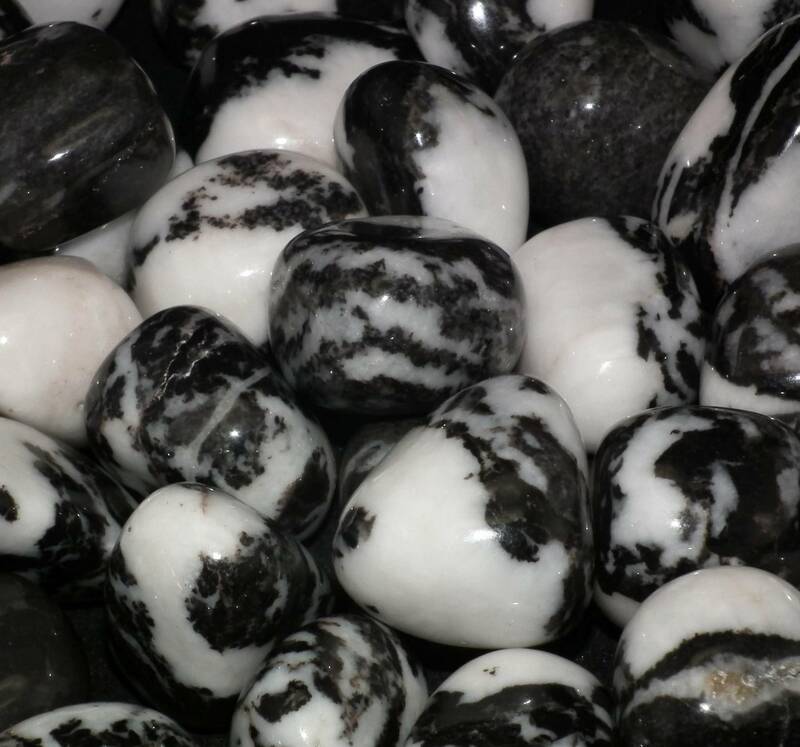 These small Black Zebra Agate tumblestones are available in two sizes – 10-20MM and 20-30MM approximately. As a contrasting black and white stone, it makes a nice display item, and can be displayed nicely with black, white, or most colours of stones, actually. Looks great in a dish, bowl, or vase. As an agate, these stones are perfect for use as fishtank gravel – or for use as decorations in a vivarium, terrarium, etc. For more information about Agate, and a full list of all our related products, please see our main ‘Agate’ page. Looking for some lovely contrasting stones? Check out our tumblestones section for some ideas.